Golan Heights, one third of it is controlled by Syria and two thirds by Israel. 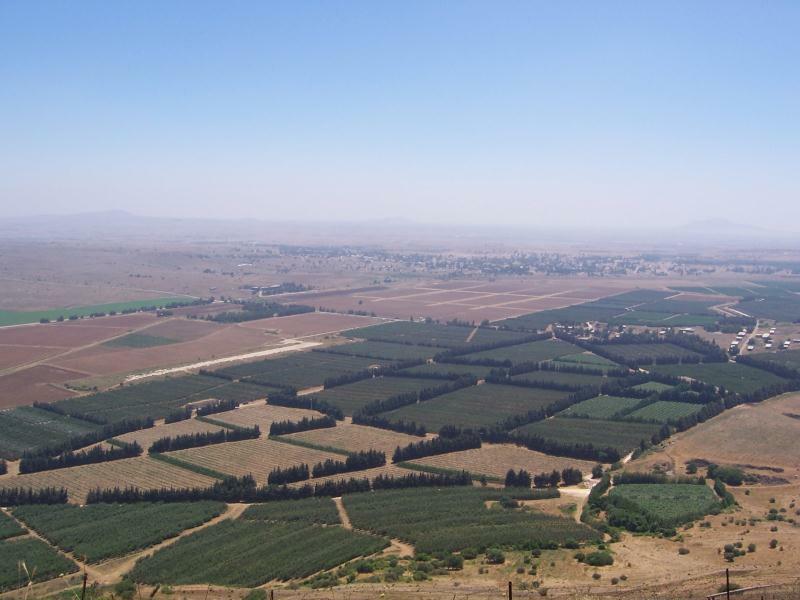 The Golan Heights was captured by Israel during the Six Day War in 1967, the Israelis then established the Purple Line. The Golan Heights is bordered with Syria and Jordan. Galilee, is the town where it is said that Jesus walked on water and created numerous miracles. We will travel to the Jordan River where you will see where Jesus was baptised. 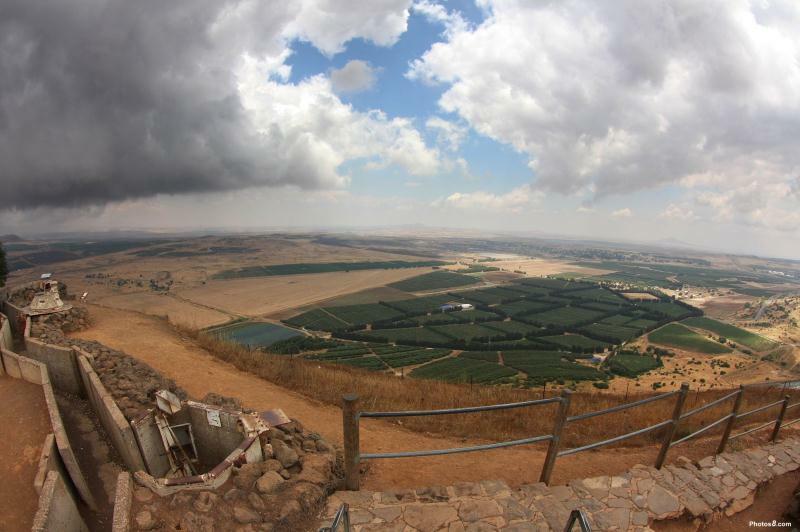 Katzrin holds the Golan Heights Winery, a synagogue, the Golan Antiques Museum, and an ancient village. Ka’lat Nimrod is a castle fortress that overlooks a deep narrow valley that separates Mount Hermon from the rest of the Golan Heights. It was built for guarding the access route to Damascus from armies coming from the West. Safad is very warm in the Summer, and cold and snowy in the winter, this is due to its high elevation. Safad is considered a very holy city, it was said that Safad was founded by one of Noahs' sons after the great flood. Drive north along the coastal road, on the way stop and you will have a veiw of Megiddo then drive through the Jordan valley, we will stop at the spot that Jesus was baptised on the Jordan River. We proceed to ascend to the Golan Heights with an overview from Hammat Gader to the 3 borders that connect Jordan, Syria, and Israel. Continue to the city of Katzrin the Talmudic capital of the Golan. Visit the ancient synagogue of Katzrin. Ascend Mt. Bental, overlook Kuneitra Valley and stop at former Syrian fortification .Descend to the Hula Valley for overnight stay in kibbutz hotel.